We buy quite a lot of cereal bars, as they make a quick breakfast on an early morning. I have tried the square bars from Fibre One before but these ones are new and sounded quite different. Although these Fibre One Carrot Cake Bars sort of fitted into the cereal bar category I didn’t quite feel comfortable having one for breakfast so I had my first try as an afternoon snack. Firstly I have to point out that the box opened backwards, which bothered me for some unknown reason. 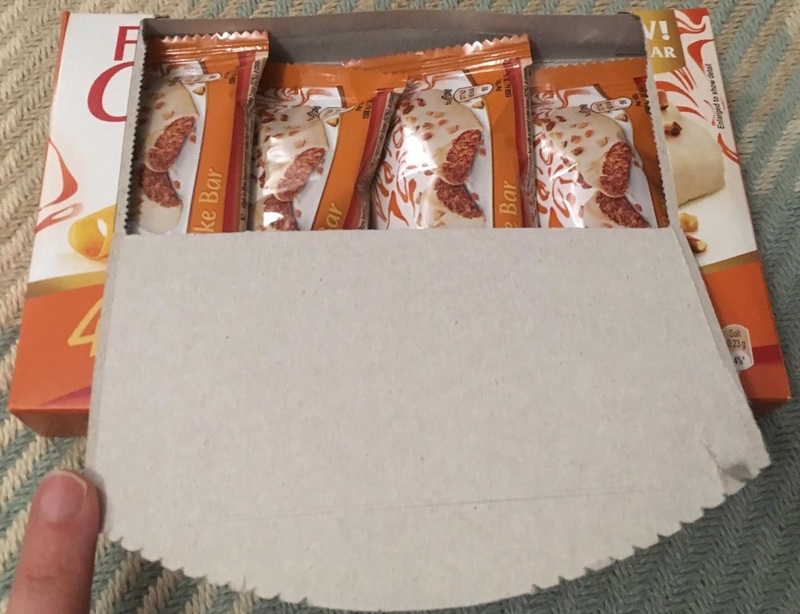 Boxes usually open the other way. 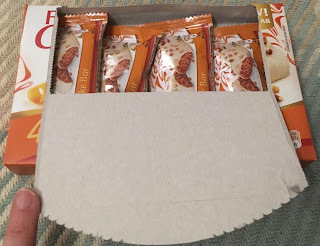 Inside there were four individually wrapped bars. Once open I found each bar was covered in lots of nuts and as I like nuts I was really pleased by this. There was a thick cream cheese layer under the icing which was surprisingly generous. 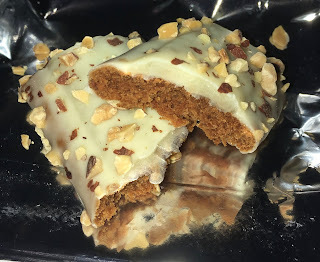 I bit in, and found the bars were very soft, and the spices weren’t too strong, but gave them the tase of carrot cake. They were gentle warming. The cream cheese kept the bar moist, and the nuts added a nice bit of texture. 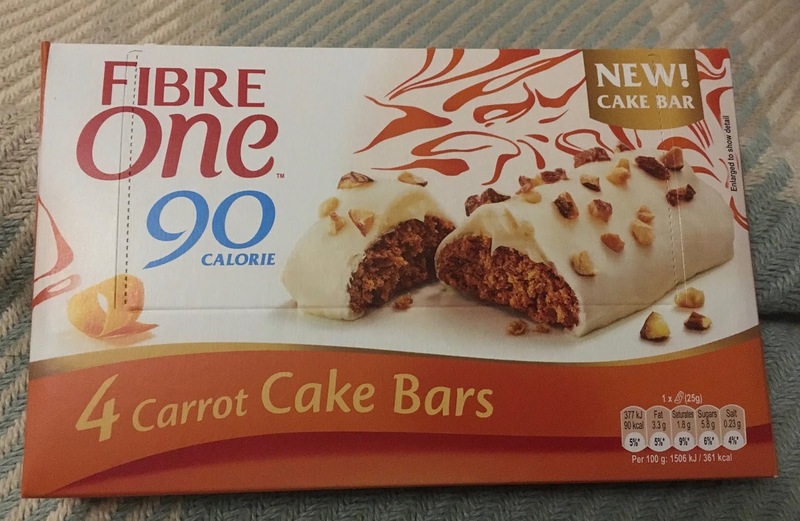 These new bars are tasty, but also they only have 90 calories so are a good afternoon treat. They aren’t quite as indulgent as an actual slice of carrot cake, but they are tasty but perhaps a little too indulgent for breakfast.